That cute coffee or bar cart you’ve got can serve sooo many purposes and you know I loooove items that are versatile multi-taskers! 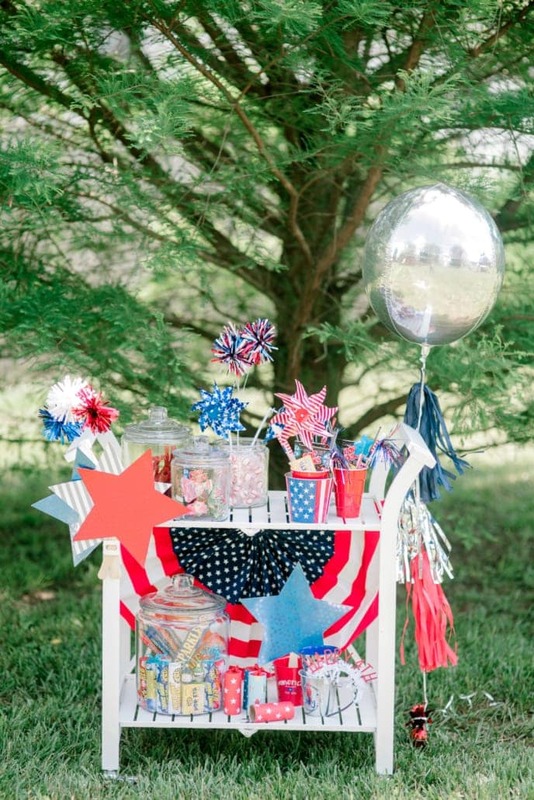 Today, we break out our bar cart in disguise as a fun fireworks cart with all the fixins! 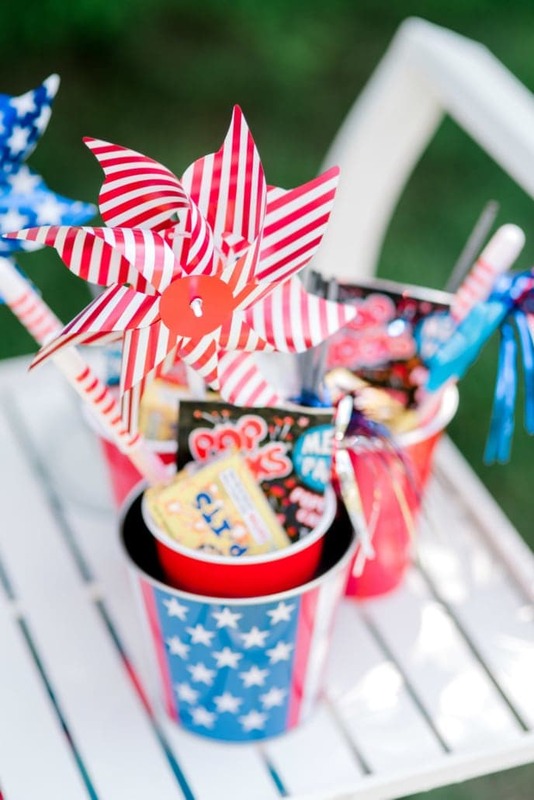 Stock themed treat cups for the littles with items like Pop Rocks (helloooo delicious fireworks in my mouth! Who doesn’t love Pop Rocks?!) that they can snack on while they enjoy the show! 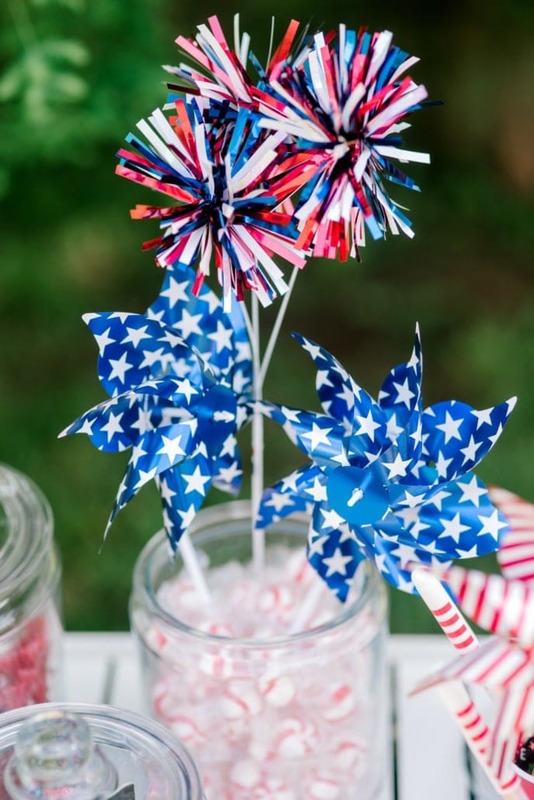 Jazz things up with some patriotic pinwheels and pom pom decor with stems stationed in a clear jar filled with mints. 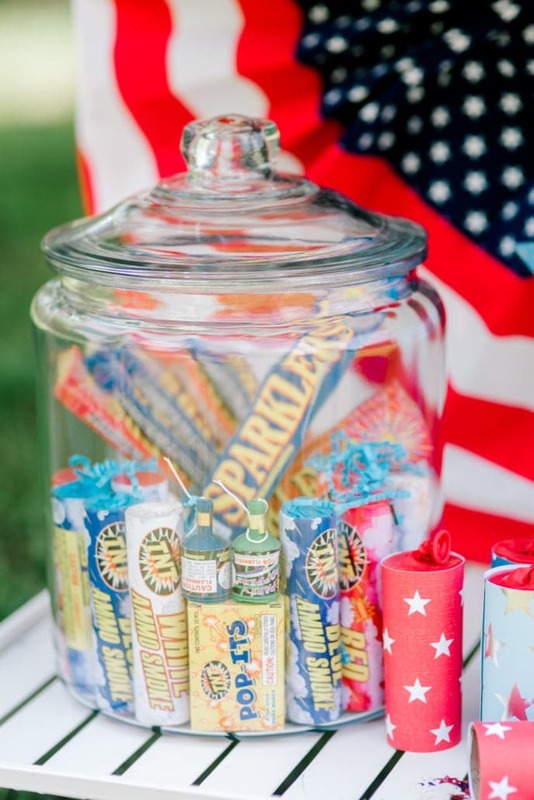 These could easily be pieces used inside that we put on the fireworks cart just for this special occasion! Naturally the kiddos want a piece of this awesome action, right?! Parents can always educate about fireworks and describe both the joy and the danger, emphasizing care and responsibility. 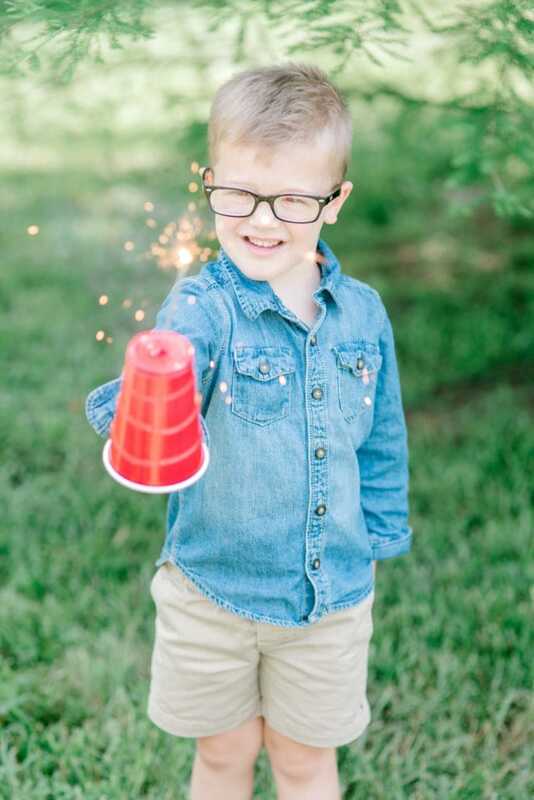 One example of letting them practice and exercise this philosophy is turning those treat cups over, popping a small hole through them, and using the cups to protect little hands as they write on the sky with sparklers! 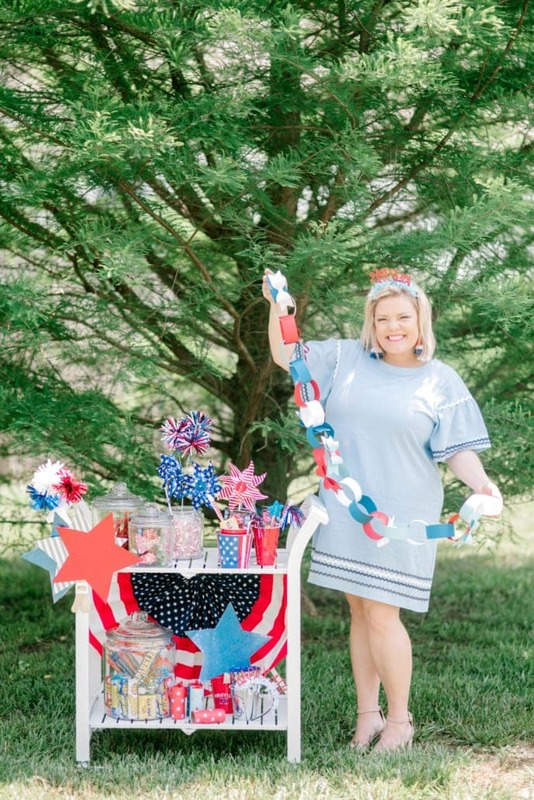 Searching for more plans for patriotic projects?